I’m doing NaNoWriMo this year! I’ve had this nugget of a piece of a cool sci-fi concept bouncing around my brain for a while now. Maybe a year and a half? Maybe almost two years? A while. But I haven”t found the time to develop it or the right way to do it. Meanwhile, I keep writing other stuff. A few weeks ago I realized this kernel of an idea was actually sprouting into a novel. And I realized that though I’ve written…nine-ish novels (many of which are unpublished) all of those novels are set in Aerdh–the same universe as Ariah and Resistance. I had myself half-convinced that I could not actually write a novel that was not set in my familiar, stalwart universe of Aerdh. It’s my safe space as a writer. But I don’t want to just hang out in my safe space forever; I want to stretch and grow, too. The nice thing about something like NaNoWriMo is that it’s a dedicated time and space to try something different. With NaNo, I’m more or less giving myself permission to step away from the current projects I have going and try this new, unfamiliar, exciting thing I’m afraid to fail at. Worst case scenario is that I scrape some words out of my brain and throw them in Scrivener and they don’t make any sense. Best case scenario is that I take a rough pass at something currently out of my comfort zone and eke out something revision-worthy. This is a working title. I am so bad at titles, y’all. Anyway, you can follow my updates on twitter or over on the NaNo website! Iris Volek is an analog serving Universe 3. Chosen for her prodigious memory, at sixteen Iris is one of the few people in the world who can enter a pocket universe and converse with people from parallel universes: her other selves born into worlds where history took different turns. But suddenly the other analogs around her start to disappear—taken into “containment” by the powers that be. And Iris knows that once an analog is “contained” they never come back. Iris must find out why the analogs are disappearing and stop it—because she might be “contained” next. 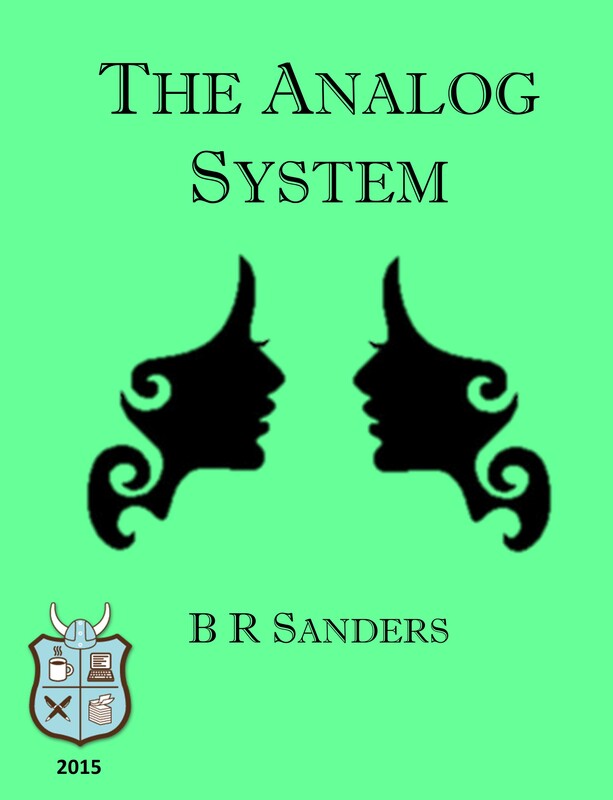 This entry was posted in NaNoWriMo 2015, THE ANALOG SYSTEM and tagged nanowrimo, nanowrimo 2015 by brsanders. Bookmark the permalink.